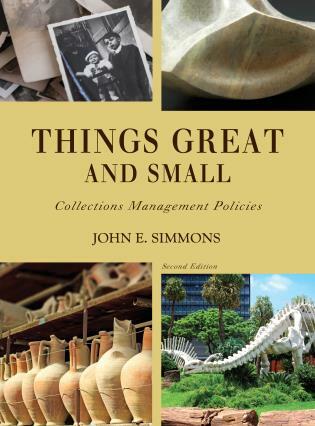 About a year and a half ago, my editor at Rowman & Littlefield asked if I was interested in preparing a new edition of my book, Things Great and Small: Collections Management Policies. The first edition had been published in 2006 which meant that it was long overdue for an update, so of course I said yes (I wanted to call the second edition Things Greater and Smaller, but, alas, that didn’t happen). As I started working on the project, I realized just how much some aspects of the museum field had changed since 2006, particularly the amount of information and how we access it. As I reviewed several score of new books, journal articles, and listserv discussions, I was struck by how many more resources are now available than when I wrote the first edition. I also thought back to when I started my museum career―admittedly this was back in the Pleistocene, also known as the 1970s―at that time, the museum literature was very sparse and there were no internet resources (because there was no internet). The only way to consult with one’s colleagues was to call them on the telephone (back then you actually paid for each long-distance call) or wait until you bumped into them at some meeting or other. The rich variety of print publications and web resources that are readily accessible now and our ability to instantly consult with a brain trust of seasoned museum professionals via cell phone, email, or web-based discussion groups has changed the field considerably, and much for the better. When I mentioned that I was preparing a new edition of the book, people would usually ask what I was planning to change. Indeed, the changes are many, beginning with a rewrite of most of the text and the addition of several new text boxes, and a few photographs have been added to the revised edition. There is updated and expanded coverage of deaccessioning and intellectual property rights, and a new section on digital collections. The laws and legislation appendix has been revised, and the bibliography expanded. The second edition text reflects changes in our thinking about standards for collections care and storage environments. Some information has been added about collection management policies for zoological parks and botanical gardens, and about the curation of culturally sensitive collections. One of the most noticeable changes in the new edition is that the sample policies from real institutions have been replaced with model policies from fictitious institutions. Because the sample policies in the first edition all came from real museums, they were limited in their applicability to other situations and in any case, most had become dated. Although I warned readers of the first edition not to copy policies from other museums but to write their own, most people preparing policies need something to start with, so the new edition offers models to provide users a way to get started. 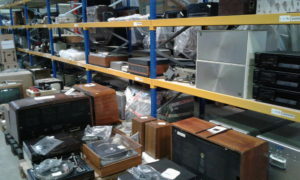 A good collections management policy is the foundation of a great collection. This new edition incorporates much that I have learned about how the book is used by its readers. This primarily came from feedback from presenting workshops, teaching classes and webinars, and from people who took the time to let me know what they thought about it. It is somewhat daunting, but always instructive, to assign your own book to a class and then watch how they interpret what you have said. Things Great and Small is available now from the publisher (https://rowman.com/ISBN/9781933253039/Things-Great-and-Small-Collections-Management-Policies) and other booksellers.